Offering a wide range of brass and woodwinds, Andreas Eastman is well known for their brass instruments. Producing mostly student quality instruments, their professional line is coming together nicely. They worked with S.E. Shires to create a professional F-attachment trombone to compete with Bach and Conn. In the woodwind family their newest line of Alto and Tenor saxophones, the “52nd Street” series, has gained popularity with saxophonists. Expect great things from Andreas Eastman in the future. This line of brasswind instruments have long set the standard by which others are judged. The Stradivarius line of trumpets and trombones has been the most played symphonic instruments of their kind over the last 50 years. Test play a Bach today and discover why for yourself. Build-a-Bach! You can design your Bach trumpet to your own specifications. Try it out on the Build-a-Bach website. Making exclusively clarinets, these instruments set the standard by which all others are judged. Their R-13 Model is the most used professional clarinet in orchestras all over the world. This same dedication to performance runs throughout the entire line, from the affordable B-12 to the “step-up” wood E-11. No other line of clarinets garners the respect that Buffet elicits. These saxophones represent the very best of the new generation of affordable professional level instruments. Available in a wide array of finishes, their playability and tonal quality far exceed other instruments in this price range and compare favorably with instruments costing 2 – 3 times as much. Cannonball instruments are being played and endorsed by some of the very finest performers on the scene today, including Gerald Albright, Ralph Moore (Tonight Show Band), Peter Christlieb (Tonight Show Band), Charles McPherson, Jamey Aebersold & the late Stanley Turrentine. Cannonball has recently introduced an exquisite new series of trumpets to their catalog. Long synonymous with the highest quality American made instruments, the current line of Conn brasswind instruments continues this tradition. Their trumpets, trombones and French horns are some of the most widely used throughout the world. Started by a 4th generation flute maker, Gemeinhardt is the largest exclusive manufacturer of flutes & piccolos in the world today. From student through conservatory to professional and custom models, they are known for their acoustical and mechanical excellence. The playability and durability of the student 2SP is the standard by which all other student flutes are compared. Manufacturing quality brass instruments for over 100 years, their trombone, trumpets, flugelhorns and French horns cover a range from quality student instruments to the very best, top of the line professional instruments. Their Farkas line of French horns is renowned throughout the orchestral world and other instruments of theirs are used by the likes of Maynard Ferguson. Holton represents the very best in quality, value and performance when in comes to brass wind instruments. Founded in 1925 in Germany, Keilwerth Saxophones have been one of the leading brands of all time. In 2013, Keilwerth unveiled 2 new models that has made a splash in the saxophone world. The SX90DLS Soprano Sax, added new features designed by professional saxophonist Dave Liebman, including a unique bell engraving. The MKX Series Alto and Tenor Saxophones provides the player with a modern sound and vintage feel. With these newest models, Keilwerth has shown their growing strength. A top manufacturer of quality instruments, chiefly manufactured in the United States, for over 100 years, King has currently focused on brass instruments, with the marching sector a major portion of heir line. Our signature line of flutes, saxophones and just introduced trumpets offer an economical, yet high quality instrument whose performance belies its price. L & L owner and master instrument technician, Steve Loeb, personally oversaw the design and manufacturing techniques of these instruments. Try one for your beginning student and you will not be disappointed. From the extremely durable, well playing and affordable Vito line of saxophones, clarinets and flutes, through the intermediate level Noblet & top of the line LeBlanc clarinets, this company represents over 2 centuries of woodwind making experience. For the beginning student, very few instruments can compare with the combination of quality, playability and durability found in the Vito line of instruments. Representing an innovative approach to flute craftsmanship that has made them one of the most sought after flutes on the market today, Pearl flutes are simply a joy to play. Employing a unique, patented pin less construction, their action is one of the smoothest available. They have a beautiful, projecting tone with great ease of articulation and accuracy of pitch. This is a name that needs no introduction. From their legendary saxophones of the past, played by such masters as John Coltrane, Sonny Rollins, Coleman Hawkins, Paul Desmond and too many others to mention, to affordable, high quality student instruments, Selmer continues to produce saxophones, clarinets and flutes sought after the world over. They also currently serve as the parent company of Armstrong, Artley, Bach, Bundy, Conn, King and the LeBlanc Line. Creators of fine flutes since 1888, Haynes has helped set the standard in the flute making industry. They offer an intermediate line, “Amadeus”, for young students, and handmade flutes in gold, silver, or platinum for professional flutists as well as everything in between. 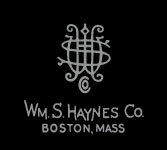 Haynes flutes and headjoints are made in Boston, Massachusetts, where quality and craftsmanship are the primary principles in every instrument they produce. Utilizing traditional Japanese hand craftsmanship, Yanagisawa saxophones are being recognized as some of the very finest instruments available in the world today. Their remarkably smooth key action and precise intonation make them a joy to play. 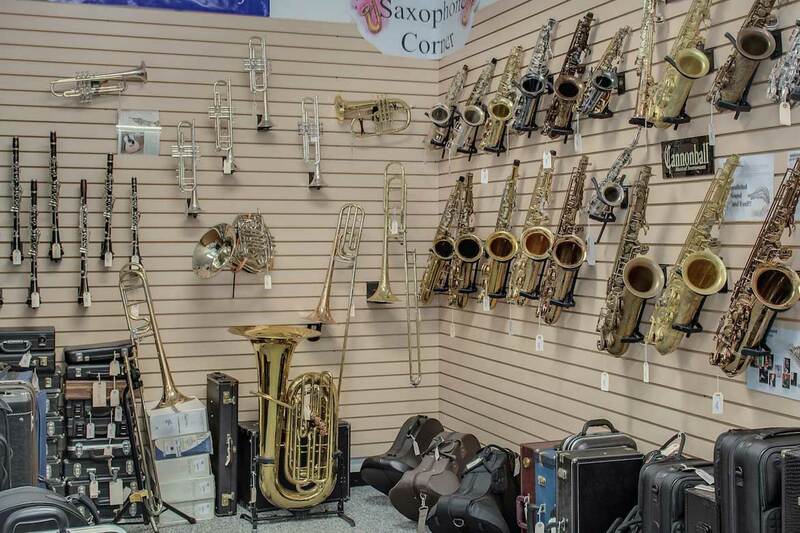 While not an instrument manufacturer, there is no better way to keep your valuable instrument safe. Pro Tec has the most extensive line of cases available anywhere and pioneered the idea of the “hard shell gig bag”. From covers to multiple horn cases, the odds are that if you think you need it, Pro Tec makes it.